last year from http://www.betterworld.com which contains half of his stories (alas the Amazon UK site didn’t have The Complete Stories volume that came out ten years ago). Of course, like everyone here I’ve got a ‘to read’ mountain but I did make a point of looking it out in order to read “The Jewbird” and I have to say it made reading Joe’s essay so much more fun! The image of the trashcan reflecting Joe's insecurity as regards the worth of his own fiction was wonderful... but, really Joe, you needn't be so hard on yourself - some of your stuff is actually not half bad! Writing the short story, if one has that gift, is a good way to begin writing seriously. It demands form as it teaches it, although I've met some who would rather not be taught. They say that the demands of form interferes with their freedom to express themselves. But no good writer writes only as he pleases. He writes for a purpose, an idea, an effect; he writes to make himself understood and felt. I'm for freedom of thought, but one must recognize that it doesn't necessarily lead to art. Free thought may come close to self-deceit. One pays for free thought in the wrong cause if it intrudes, interferes with the logic of language and construction - if it falls like a hammer blow on the head as one is attempting to work out his fiction. Standards diluted at the start may exact a mean toll. Not many "make it" as serious writers of fiction, especially those who think of form as a catchword. [...] There are standards in literature that a would-be writer must become familiar with - must uphold. [...] One will be convinced, if he or she reads conscientiously and widely, that form as ultimate necessity is the basis of literature. Here Malamud neatly expresses my own reservations regarding experimental fiction for its own sake, or deliberately vague fictions that only the writer and the editor 'get' while everyone else scratches their head and feels stupid. This is the whole problem I had in the '90s with the Andy Cox Third Alternative school of writing: miserablist, slipstream craptrap that they thought was such the 'in' thing. And, really, all they were doing was what Brian Aldiss did in the science fiction New Wave days of the late '60s with his 'Acid-head' stories. Even then though - as now - Aldiss had such an innate sense of story that he never lost track of it, even in his most wild moments of experimentation. The slipstream movement put mood above all else, Cox even going so far as to declare, in one of his editorials, that he wasn't interested in story! Thank God Joe is... and thank God for such short story magazines as Postscripts. his stories . Is Joe working now with his paw on the Malamud based stories? If so When are they coming out next year sometime maybe ? 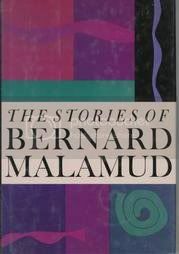 Eva_50 wrote: I myself haven't read any of Malamud's works so I am not familiar with his stories . Is Joe working now with his paw on the Malamud based stories? If so When are they coming out next year sometime maybe ? You can check out this entry on the blog, and it'll give you a sense for what's on the immediate horizon. I have read that as a matter of fact it seemed to slip my mind . I did go back and read it , tanks shane for the pointers .